Happy almost MLK Day everyone! We are in the midst of a cold weather smack-down in Minnesota, so severe that we *might* have a late start tomorrow. It's a bummer too, because we have our annual Martin Luther King Day of Service (I blogged about it last year, check it out!). What a conundrum it must be to have to make the decision in such a situation... risk angering parents over hypothermia at the bus stop, or risk angering the community for shortening and/or canceling one of the most meaningful days of the year. Glad it's not my call! One of my classroom MLK Day activities is showing the Minimum Wage episode of Morgan Spurlock's 30 Days (info on the Day of Service link). This seems most appropriate this year as tax hikes just took a nice dent out of my pay check. I keep telling myself it's okay as long as everyone got the same hike... but did they? Click here to see how it affected your family. It's not quite so depressing as I was fearing. The vast majority of Americans, even the wealthy, saw increases of between .8% and 1.5% due to the expiration of one of the Social Security tax cuts. Still hurts though. I like to torture myself even further this time of year (as if life and winter isn't depressing enough) by updating my monthly budget. Between the reduction in my salary, the impending full-day kindergarten and 3-day a week preschool costs for my two boys, and payments to various loans/bills/insurance, there is virtually NO WAY to break even each month in the foreseeable future. Unless we give up eating. Then there might be a chance. 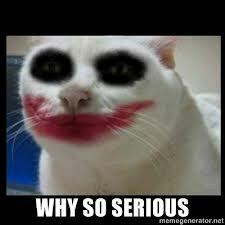 Which made me laugh in that crazy cat Joker way when a student blurted out last week that "teachers are rich". HA!! 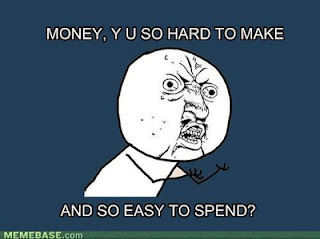 Enough about my own money woes. Time to give the students a reality check! 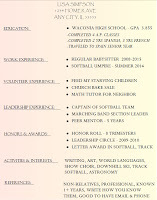 As promised, I have FINALLY downloaded and then re-uploaded the Career Project resources I blogged about last spring. It turned out quite a bit differently than I had planned, mostly due to time constraints. My goal is still the same... for students to get a good idea of what jobs they would be good at, and for them to see the type and cost of education they will need to get there. Then of course what it will pay, and what lifestyle they might expect to have. As opposed to just sitting around and bashing "those rich teachers" all day. 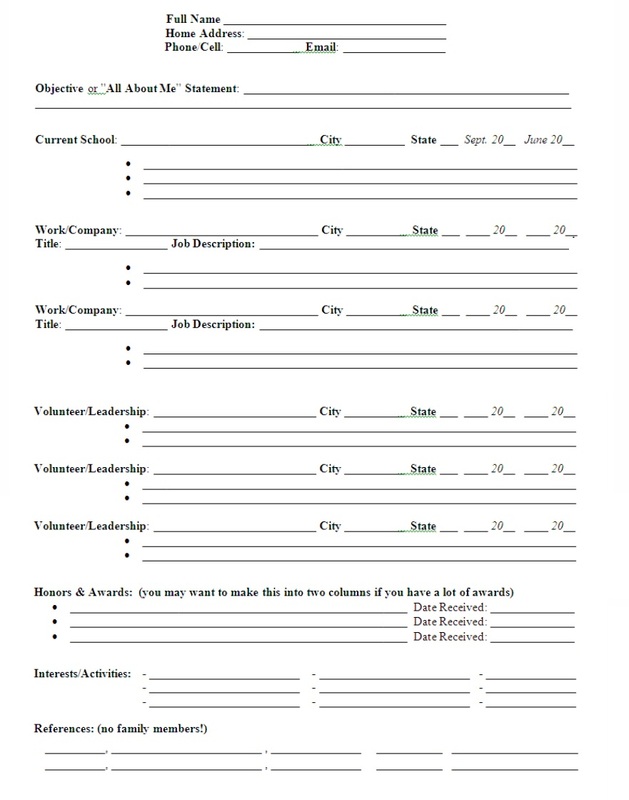 -Print off enough copies of the Career Cluster Interest Inventory .pdf for all students. It's a four-page document that should be run back-to-front and probably stapled. You will want to hand-write on a "Name" spot on pages 1 and 3 before running the copies. Pass out to students at the beginning of the hour, explaining the goal of the assignment. I usually tell students, it's one thing to say "I want to be a doctor" or "I'm going to be a professional basketball player", but do you really know what professionals in each career do all day? What particular tasks? Because that might change your mind. Knowing what skills and tasks you like to do can better help narrow down prospective career fields. As your students work through the survey, read-aloud may be beneficial for understanding of some of the vocab words. Also, when you get to page 3, students should rip off the top page so they don't have to keep flipping back and forth in their packet to tally their preferences. There are 16 career clusters that they will tally. For most students, their top three or four choices will emerge as clear favorites. Then they will flip over the back page and read about their top career clusters. Just off the descriptions, they may be able to decide on one or two favorites. Day 1 Homework: Post the Career One-Stop site on your school page or pass out in some sort of assignment rubric. They can type their career cluster, or one of its key words, into a variety of search boxes to find more information about particular fields. Leave the assignment fairly open-ended, as each student may have different quantities and depths of interest that they want to pursue. They should, however, be able to find pay information, job skills and training needed, typical work environments, as well as state-specific statistics of job availability in their field. Day 2: What do I already know? -Take some time to have groups share what they learned in their research. They could meet in career clusters, or share with friends/neighbors. What surprised them? What looks daunting? Did their research change or reinforce their vision of their future? Had they never thought about it before? -Introduce Resumes. 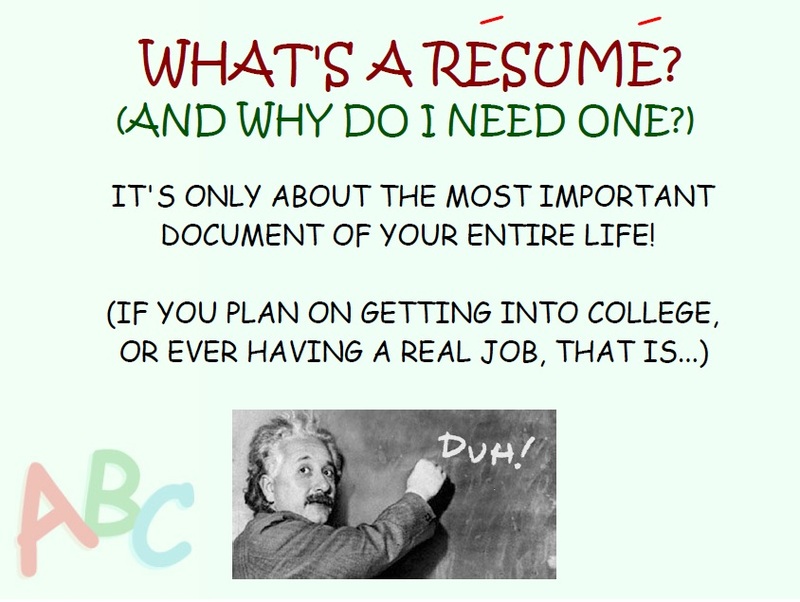 What is a Resume? What is it used for? Here are a few of my Smart file screen shots. 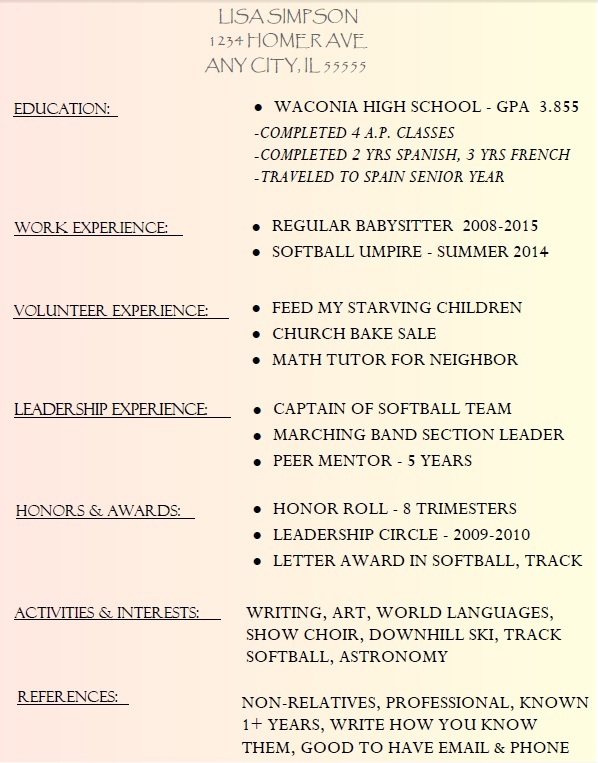 I also have a wonderful .docx Resume template that I can't upload here. Shoot me a message on my Zombie Math Teacher Facebook page if you would like a copy. 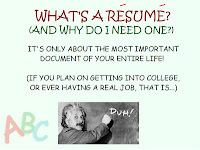 -Describe how resumes are used to apply for jobs and get into colleges. It's important that they start thinking about how the skills and jobs and volunteering they do now (even in middle school!) are an important stepping stone to bigger things. They should know that the material that is stored in their resume will change, depending on who their target audience is. So it's good to keep a working document in a safe place, that they can edit frequently. -Talk about the content that is in each category. Is it important? What is special/unique about each bullet point? 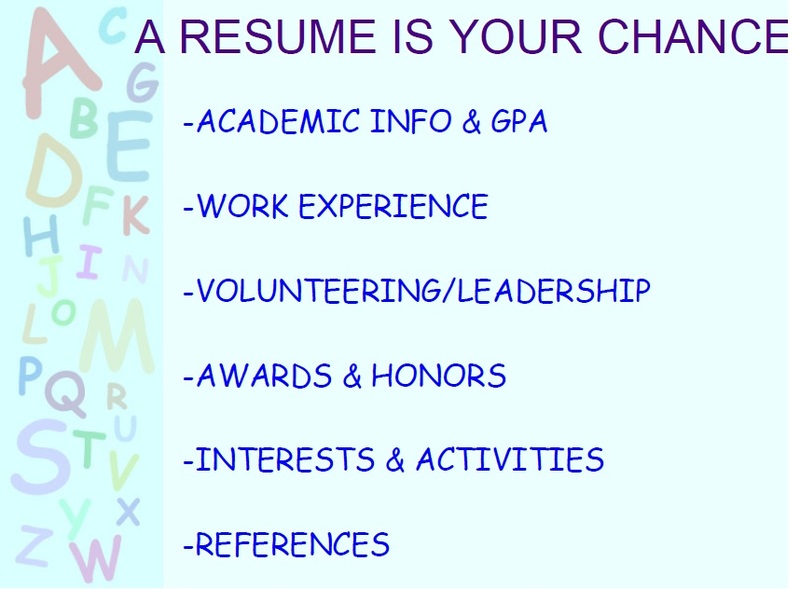 -Discuss the layout of a resume and HOW IMPORTANT correct spelling and grammar are, if they are going to be taken seriously. Also talk about the importance of developing and maintaining good references. Day 2 Homework: Create a rough draft of a resume that highlights necessary skills for the college and/or career field you researched the day before. You can include things you plan on doing that you haven't done yet. Like a high school job you might want, or an award you hope to get, or a volunteer opportunity/activity that they have done or likely will do. You may want to post the Lisa Simpson example on your school site so they have an example to work from. -Book a computer lab or laptop cart so each student has access to their own internet and/or word processing. Show them either on a Smart board or if you can control their monitors, where to find the Microsoft Word resume templates. Click here if you need a refresher or want to learn. Click here to see a demo that you can show your students. It's not particularly exciting, but it's informative. -Students could also be working on the Career One-Stop site listed under Day 1 during this time, either before, after or concurrently as they work on their resumes. Their rough draft homework should be the foundation of their typed resume, so I would just check them in as complete or not complete, rather than collecting them at the beginning of the hour. -Be sure to save time at the end of class to show students how to save their documents either to a flash drive, or upload to googledocs, or how to email it to themselves. Day 3 Homework: Finish your working document / have a parent edit and/or add to it? -You may want computers for today as well. A final peer edit of the resume with peer sharing and idea generating is advisable, with some time to polish and then print their final draft. They should of course email/save the final working document somewhere that they can access it later in life to update it. -Final reflection activity: Write a summary of the career clusters and specific careers they found in their internet research, and staple to any documents they printed from the career site. 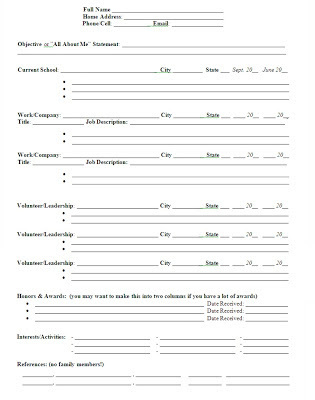 Describe how their resume will help them achieve their goals and stepping stones to achieve the career they want. Write about what they are already doing now (or should be doing now) to help them get started on the path to success. And that's all she wrote! Have fun! If you have questions, I'd advise posting them on my Facebook page listed above. It's more interactive and then everyone can see if we post/share documents and ideas.